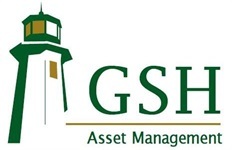 GSH Asset Management is an independent financial services firm that provides investment services and access to investment products across all major asset classes to a diverse set of institutional and individual clients. For each of our clients, we strive to help create financial stability and security to provide financial independence. Whether your financial affairs are relatively simple or very complex, we can help you develop an investment strategy that’s suitable for you and can provide insight on how to plan for many of life’s major events. We collaborate with internal professionals, external partners and our clients; continuously evaluating our advice and services.